In August 2017, Sarah Polite decided to start a new life. She packed up everything she owns, left her job of more than 8 years and drove from New York City to Greenville, South Carolina with no job, no family- just a desire to start fresh. As part of her total life transformation, Sarah committed to getting healthy. Not just losing weight- but focusing on being kinder to her body. Often we get to read the after-stories- the successes of women who lose 50, 60, 100 pounds- but rarely are we part of the journey in real-time as it happens. 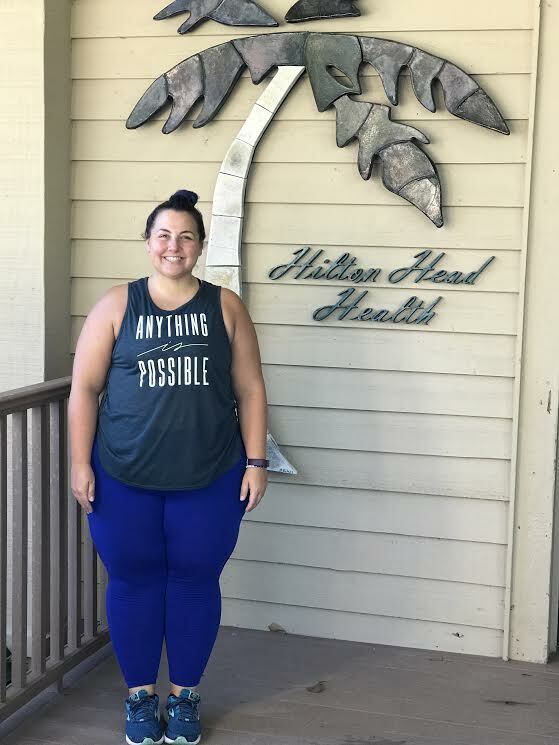 She recently spent 3 months at a weight loss resort to help jump start the process and learned some incredible food/snacking tips/recipes while there. 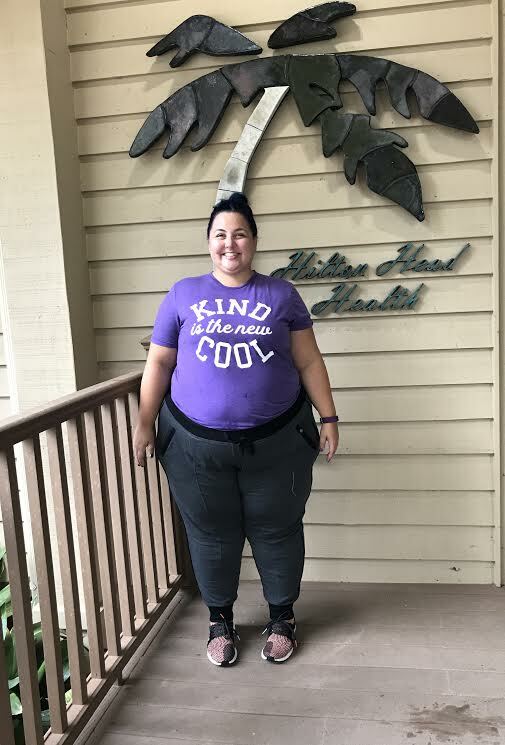 In our series covering #RealWomen in March, lets check out Sarah Polite’s incredible story about her healthy weight loss journey in an exclusive interview with Women Fitness below. I recently made a big life change and moved from New York City to Greenville, South Carolina. After 14 years of a fast paced career and the city grind I wanted a better quality of life that included work/life balance and health and wellness as the focus and not on the back burner like I had put it for so long. I knew moving to an active town like Greenville would bring me those things I was seeking but I would also have to make some changes on my end and that is when I knew it was time for me to take this journey. When I started in November I never wanted the focus to be on the weight for me. I didn’t want to look at a number on the scale and be consumed by it or the size of my pants. I was starting this adventure for health and wellness and to be able to move freely and strongly in the body I’m in, no matter my size. That mindset changed everything for me. It took out the all or nothing mentality and the pressure on ourselves we normally put on the scale each week and whether the number is going down. Was I moving better than I ever had before? Was I gaining a strength I never knew I had? Was my blood pressure down significantly? How did I feel? Was I happy? Those are the milestones that mattered most to me and every time they’ve come up the last few months I’ve celebrated them! My fitness style is very adventurous and I’m very curious and love to try as many things as possible so that I don’t get bored. I have a wonderful gym in my apartment that I do a lot of my basic treadmill and strength training in but I never want working out to feel like something I have to do or like a chore/routine so I take group fitness classes to supplement the days I’m feeling adventurous and like I need something more. Right now I’m feeling very connected to yoga both in heated and non heated rooms so I’ve been exploring that the last couple of weeks. I also made a list of all the fitness classes in my town and I’m slowly trying them one by one. I want to see what is out there for myself and challenge myself but also find out what places are a good fit for me that I can continue going to. My whole mentality is movement should be fun and we should move because we can and because it feels good not because we have to offset the calories of last night’s dinner. When I take the pressure off of myself to just move in anyway I can I notice I end up moving every single day and that is exactly how I want to live. Movement and activity as a part of my everyday life. I’m not a big breakfast time eater and especially with working out in the morning I don’t like to work out on a full stomach so honestly, lunch is my first meal of the day. BUT- I do love breakfast foods so my lunch is often an almond milk yogurt (Kite Hill has a delicious unsweetened kind with no additional sugar) some paleo granola and lots of berries and a banana mixed in. Sometimes I’ll sprinkle some PB2 on top or some chia seeds for crunch. I also love to make a scramble with eggs, veggies and avocado on top if I’m craving something more savory for lunchtime. Dinner has become about bowls for me and just the other night I made my healthy take on shrimp and broccoli. I roasted shrimp, broccoli and string beans in the oven and served them on a bed of baby kale with a sesame oil drizzle with toasted sesame seeds on top. That’s my tip for all the bowls no matter what is in it- protein, veggies, grains I always add baby kale as the base. It’s an easy and extra way to get greens in throughout the day. I do it with my egg scramble too. Instead of serving it on toast I serve it on a big bed of baby kale. Then I know I already started my day with greens! I love peanut butter hummus which is chickpeas and PB2 mixed together with a couple other ingredients. It’s great on fruit or even veggies and this snack has actually replaced dessert for me at night when I’m craving something sweet. I also love a small piece of fruit like an apple or pear for a snack or even 100 calories worth of unsalted almonds. If you had told me a year ago that a handful of unsalted almonds would have made me happy- I would have told you you’re crazy. But I do and they’re a great way to get in proteins and healthy fats while satisfying your snack craving. At the end of the day who are we losing weight for? Sure, external motivators are great but they’re not always going to be there. I’ve lost weight before for my family, for my friends, even my significant other and guess what? It never lasted. The true motivation for me this time was simply- myself. I kept coming back to why am I here? Why am I doing this? And I sat with it. What is my why? then after I could answer that question it all fell into place. This year I resolved to not have a resolution and be happy as I am where I am. No matter my weight, size good days or bad days. It may be my favorite resolution yet. Pound out each four oz. fillet until 1/4 inch thick; set aside. Mix egg whites in a medium sized bowl that is large enough to dip the fillets in. In a separate bowl mix the Panko crumbs, salt, pepper, basil, oregano, garlic powder and Parmesan cheese. Dip each fillet into the egg whites, then dredge in the breading mixture; top each fillet with cheese. Spray baking sheet with cooking spray; lay fillets across the pan. ~ Bake for approximately 20-25 minutes or until golden brown. Serve with 1/2 cup H3I Marinara Sauce. ***Chef’s Note: To help brown the tops of the fillets, spray a small amount of pan spray on top of each fillet. Another variation of this recipe can be made with zucchini, eggplant, veal cutlets, and or pork cutlets. Number of servings: 4 Serving size: 4 oz. Combine all ingredients into a food processor, puree until smooth and whipped. Grab some fruit or some pita chips and enjoy! Add garlic, diced onion, green pepper, red pepper, kidney beans, ground turkey and chili powder. Stir and sauté for 5 to 10 minutes. Add water then the next 7 ingredients. Bring to a boil. Reduce heat, simmer uncovered for 10 minutes and stir occasionally. Spoon half of bean mixture into the bottom of a 13 X 9 inch baking dish. Top with remaining bean mixture. Cover and bake for 30 minutes at 375°F. Uncover and sprinkle with remaining cheese. Bake for an additional 10 minutes.